During glasnost in August 1989, Lyn Hejinian, along with Michael Davidson, Ron Silliman, and Barrett Watten, attended the first international avant-garde writers’ conference, “Language — Consciousness — Society,” in the Soviet Union since the Russian Revolution. One of the main organizers of the event was Arkadii Dragomoshchenko, whose book, Endarkenment: Selected Poems, was published by Wesleyan University Press earlier this year. In the early 1990s, Hejinian became one of the first American translators of Dragomoshchenko, working with Elena Balashova on the Sun & Moon titles Description and Xenia. Throughout the ’90s and into the 2000s, Dragomoshchenko’s connections to the American poetry scene, particularly with language writing, continued to develop through correspondence and travel to the States. During one of Dragomoshchenko’s last visits to the US, Charles Bernstein hosted him at the Kelly Writers House for a reading and interview. Less than two years later, in September 2012, after a diagnosis of advanced lung cancer, Dragomoshchenko passed away. Endarkenment provides a solid career overview. For those already familiar with the poet’s work, this selected may seem too brief. In the newcomer’s hands, however, the book should feel just right. Edited by Eugene Ostashevsky, the selections are the work of six talented translators and come from three different collections. 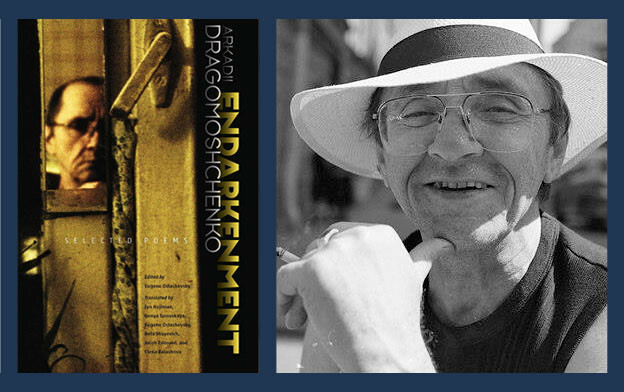 “Dragomoshchenko’s Russian,” Ostashevsky’s engaging essay that closes the book, discusses some of the translation challenges in Dragomoshchenko’s work and links the poet’s sensibility to Osip Mandelstam and Alexander Vvedensky. Protestants go to church to mail a letter to God, the church, it’s like a post office. The Orthodox church — the building is not symbolic — it is considered to be the real body of God, and Orthodox people too are God because they are together there, not alone, and speaking, by the way, has nothing to do with it. Dragomoshchenko’s astute understanding of a difference between Russian and Western culture may stem from his richly textured relationship to Russian culture during the Cold War. He was born in 1946 in Potsdam, East Germany, where his father was a Soviet Army officer. Before moving to Leningrad in 1969 to study theatre, he grew up in Vinnytsia, Ukraine, where the languages spoken included Greek, Moldovan, Polish, Romany, Ukrainian, and Yiddish, not to mention Russian (ix and 143). That part of Ukraine is a religious crossroads as well, with Catholicism, Orthodoxy, and Judaism simultaneously making their marks (ix). And in the years before Dragomoshchenko’s birth, during Stalin’s Great Purge in 1937–38, Vinnytsia was the site of a massacre of mostly ethnic Ukrainians. By any measure, this is quite a backdrop for one’s youth. While living in Leningrad, Dragomoshchenko became active in the samizdat culture of the 1970s and 1980s. In an agreement with Soviet authorities to legalize this underground culture, Dragomoshchenko and a few others formed Club 81, but it wasn’t until perestroika that his work was first legally published. 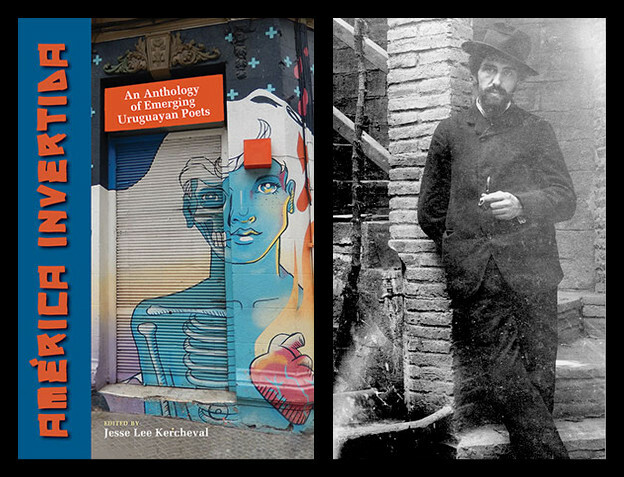 As Jacob Edmonds describes in his book, A Common Strangeness: Contemporary Poetry, Cross-Cultural Encounter, Comparative Literature, Hejinian first met Dragomoshchenko in the Soviet Union in 1983, after Alexander Kan had invited the ROVA quartet to perform in Leningrad. To everyone’s surprise the invitation was allowed by the authorities, so ROVA, along with Hejinian, who is married to saxophonist and cofounder Larry Ochs, paid their first visit to the USSR. The album and documentary film that followed ROVA’s visit was called Saxophone Diplomacy. But no matter how interesting a poet’s background or how significant his literary relationships might be there is no context that defaults to good poetry. A poet must be astute in his milieu. Dragomoshchenko’s awareness of the divide between Western and Russian conceptions of consciousness are only one example of his ability to cleave apart situations and concepts. As someone living the greater part of his life under the Soviet regime, one that aimed to control all forms of production, he was also keenly aware of the tension between the individual and the authority figure, whether that figure is one leader or the manifold state. Dragomoshchenko tends to layer his poems with reference; such as he does here with those bronze-beaked, man-eating birds from Greek myth, Stymphalian nightingales. Judging from their magnanimous whistling, these birds must view the Statesman favorably, as if the power this figure has is out of human hands. In his essay, Ostashevsky notes that the nightingales also “[assert] the primacy of sound and stylistic aura over philological (and logical) accuracy” (152). This is a tendency common in Dragomoshchenko’s work and one of its greatest pleasures. In Dragomoshchenko’s view, failed leadership may have its roots in one’s past. How can a leader conceive laws when that leader could not grasp the rules of simple mathematics? What happens to the central character is only part of the driving force of Dragomoshchenko’s poem. Turovskaya’s translation further underscores the Statesman’s deficiency. She makes a wise choice when she invents a word such as “lackboard.” The word simultaneously calls to mind what we expect, a blackboard, and a void. With Dragomoshchenko’s text as a base, Turovskaya’s adept translation captures some of the common elements — intrigue, humor, and melancholy— of a Dragomoshchenko poem. Ostashevksy’s essay once again provides further insight. With this particular poem, he describes how the gender of the Statesman, in the original Russian, shifts. Turovskaya made the choice to put the gendered pronoun in the third person because of differences between languages (150). Neither Ostashevky nor Turovskaya indicate where those shifts occur, but many readers, at least this reader, would be curious to see them. But perhaps that would overcomplicate the English-language poem. Translating Dragomoshchenko’s work can’t be easy, making it all the more impressive that the six translators featured here have made invigorating English-language poems of the originals. Endarkenment foregrounds Dragomoshchenko’s investigation into the materiality of language. In a poem such as “there they go, writing poems,” he focuses on the relevance of the written word: “Configurations of letters plugged / into unstoppable machines of interference” (97). Later in the same poem: “Be articulate, do not avoid the sense of responsibility” indicates his interest in finding appropriate expression. That the line incidentally calls to mind Robert Duncan’s definition of responsibility, the ability to respond, makes it seem as though the poem is participating in an ongoing international discourse. The interrogative quality of this poem also conveys the sense of doubt that can plague a writer. For Dragomoshchenko, though, doubt seems to enable, rather than paralyze, his writing. “Nasturtium as Reality” closes the book on a note that stresses “[a]n attempt,” not the ultimate description of an observation, for the form of the ultimate takes its shape through eavesdropping or “a glance over someone else’s shoulder” (107). 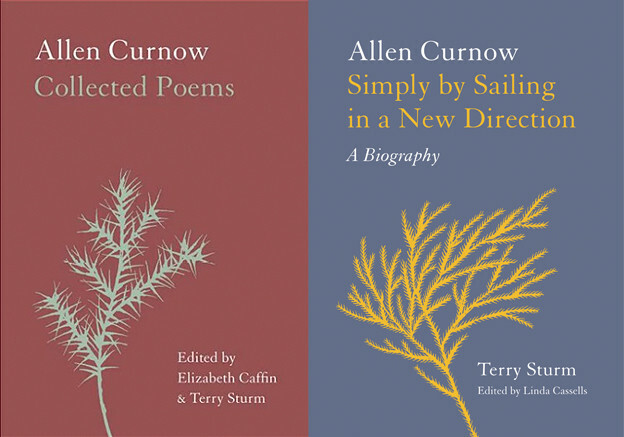 There is “the anticipation of the resulting whole —” (107), that, with the lineation’s interruption or eruption, suggests the poem, or nasturtium, is a vessel that embodies the event or crisis just before it is about to happen. so this is the table? masonry? three fissures? Perhaps it is language itself, not writing, that is the translator. As Dragomoshchenko suggests, translation tames, it is a transition, and it is on a variable itinerary. Itineraries offer very distinct kinds of transition, and under any circumstance can be destabilizing. Here, the poet isn’t commenting on the translation one experiences while reading Russian poems in English. Dragomoshchenko is more macroscopic. He doubts language’s aptitude for precision. The voice asking the straightforward question, “so this is a table?” is suspicious. But this voice is also willing to engage in the exercise: “Let us suppose that everyone has a box.” For Dragomoshchenko, it seems that language requires some sort of agreed-upon meaning. He isn’t so suspicious of language, however, that he can’t move within it. He clearly thinks language has power, otherwise why would he have written the poems he did? His work embodies the paradox of being a poet: seeing the power of language while also seeing through it. From Lyn Hejinian’s perspective, at least as she describes in her foreword to Endarkenment, Dragomoshchenko’s exposure to various languages during his childhood in Ukraine laid a foundation for understanding “language’s habit of producing simultaneously convergent and divergent meanings” (ix). While Hejinian is primarily referring to language itself in her comments, it seems fair to apply her idea more broadly to Dragomoshchenko’s work. Throughout, he ably dissects structures of meaning, making it possible for readers to see where discrepancies exist. The word aperture fittingly describes Dragomoshchenko’s work. In a camera, the aperture isn’t what the viewer looks through; it’s the part of the camera that controls the amount of light that reaches the film. The poem, for Dragomoshchenko, is the exposed film. This is where readers experience his talent most directly, but that’s not his actual talent. Dragomoshchenko’s true gift is his understanding of how to adjust the aperture according to his subject. He knows when to take in small amounts of light and when to run the risk of overexposure, without burning up the frame. 1. Michael Davidson, Lyn Hejinian, Ron Silliman, and Barrett Watten, Leningrad: American Writers in the Soviet Union (San Francisco: Mercury House, 1991), 34–35. 6. Jacob Edmond, A Common Strangeness: Contemporary Poetry, Cross-Cultural Encounter, Comparative Literature (New York: Fordham University Press, 2012), 44–45.